In the latest edition of Ewing’s Doings, Angela Ewing chats with Christy Dolan, pianist, and John Webster who directs the Curry-Del Norte Orchestra. Their upcoming winter concert will entertain and delight you with classical favorites and Christmas music. Admission $12.00 Students and K-12 free. The Curry Del Norte is a non-profit organization and welcomes your donations, the bulk of which go to the Youth Prep Orchestra. Beginning and end music is from The Four Seasons – Spring, by Antonio Vivaldi, performed by John Harrison, from musopen.org, Creative Commons Attribution-ShareAlike 3.0 Unported license. Promotional announcement music is Beginning Poppy Electro, by Alexander Blu from orangefreesounds.com, Creative Commons Attribution-NonCommercial 4.0 International license. In this edition of Ewing’s Doings, host Angela Ewing talks with Violet Burton, the organizer of the Festival of Art in Stout Park. The Stout Park Art Festival is a popular event and will be held on August 6th and 7th this year at Stout Park on Oak Street, Brookings. Looking for an unusual gift, something unique for that special friend? 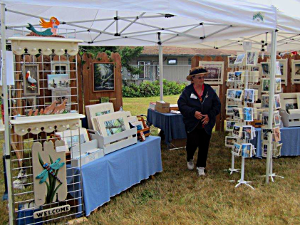 Come browse and meet the artisans who come from near and far to sell their work and show their talent. Enjoy lots of good food including sushi, beer, wine and our wonderful local musicians on stage. 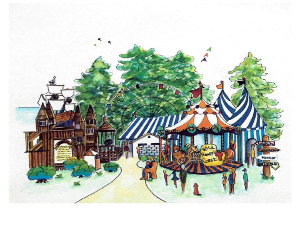 A Carousel for Brookings was a vision that Bud Halliday carried with him since his youth as a “carnie”. With this idea in mind, he set about planning it literally from the ground up. Not an easy task, but this dedicated group of enthusiasts now spend many hours planning fund-raisers in Brookings for their mission to bring entertainment and industry to the Brookings-Harbor Wild Rivers Coast. Hear Angela’s interview with Burrill Catanach, one the Board members of A Carousel for Brookings. In this edition of Ewing’s Doings, Angela Ewing talks with Brookings-Harbor Friends of Music board member George Cady. Friends of Music is a non-profit organization dedicated to bringing a variety of fine musical events to the southern Oregon coast and to stimulating interest in fine music. They present an annual series of concerts that brings some of the world’s best musicians to our little corner of the world – something normally only seen at much higher cost in large metropolitan areas. 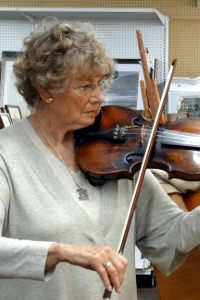 Cady is a retired engineer with a life-long love of classical music, both as a performer and a listener. He brought his passion for fine music to Brookings-Harbor when he retired from his career as defense contractor. In this program Cady talks about the synergistic relationship between the sciences and mathematics and classical music, how the Friends of Music outreach program is introducing fine music to the students of the Brookings-Harbor school district, and how Friends of Music succeeds in bringing outstanding musicians from around the world to perform in our small community of Brookings-Harbor. In this edition of Out and About, host Angela Ewings talks with violinist Shirley Hyatt about all things violin. Shirley talks about how her classical training provided her the tools to create and play swing music, a genre that allows for improvisation. Learn the difference between violin playing and fiddling, what makes a good violin, and much more. Shirley is one half of the popular duo, Giraffes on a Raft. They play at the Second Saturday Art Walk in Brookings. In this edition of Ewing’s Doing’s, KCIW’s multi-talented Angela Ewing talks with Richard Leathers, a local photographer. Richard Leathers is one of those people who are reluctant to talk about their skills and talent in our artistic community of Brookings, Oregon. Only by asking questions does one get to understand the complexity of Richard’s art and his love of nature revealed in his clever photography. Richard discovered his love of taking pictures in the 70’s at Berkeley, California. His first camera was a Pentax, and until he purchased a cheap Kodak digital, he had no idea what fun photography could be. Now, after winning numerous awards in Brookings for his unique imagery and style, he uses a Canon with two lenses, wide and telephoto to show his work in galleries around town. 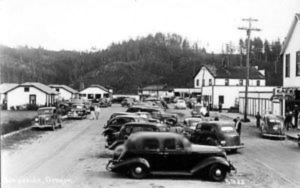 Lakeside Main Street in 1940. Roy Currier was an entrepreneur who had a connection with the Hollywood crowd. He built steam heated cabins in Lakeside (shown on the left of this picture) that still remained for several years for wealthy travelers after Roy Currier returned to Los Angeles in 1935. Only one cabin remains to show that Currier’s Village ever existed. 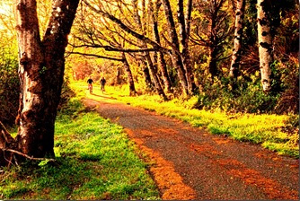 Ewing’s Doing’s host Angela Ewing has been exploring the coastal towns of Southern Oregon for many years. In her travels she has discovered secrets that have been hidden by layers of time in some out-of-the-way places. One of them is Lakeside, a tiny community so easily missed when you travel up the coast from Curry County to Winchester Bay and Reedsport. But it’s there, a small village, if you will. It can hardly be called a city, but it has a fascinating history that she unearthed years ago when she was a contributing writer for Oregon Coast Magazine. Cliff Bennett and his wife Roxanne recently moved to Brookings to open their new business, Chet’s Garden Center, located at 301 Oak Street in Brookings. Ewing’s Doings’ host Angela Ewing had the opportunity to talk with Cliff about their move from Grants Pass, their plans to serve the Brookings gardeners’ community, and to get some expert advice on local gardening. 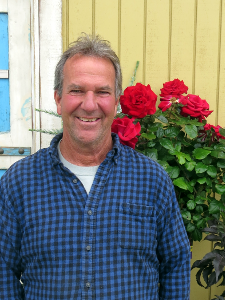 Cliff is no stranger to owning and operating a garden center. His expertise is evident in the well-designed paths, plants, and unusual garden art from local artists. The nursery that was there formerly has been completely remodelled and is now a showpiece. Listen to Cliff’s advice on the best way to fertilize your plants, natural weed and insect control, how to keep our friendly local deer from eating you garden, and how to grow roses in our damp climate … and more. 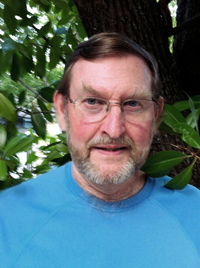 In this special edition of Ewing’s Doings, host Angela Ewing was honored to have the opportunity to talk with Oregon poet Gary Lark at the Gold Beach Books about his varied and interesting story-poems. His poetry not only reveal the experiences of his own life, but those of others he has met who made an impression on him. With his stories he reaches into other peoples emotional world and reveals different layers of his own life. The Brookings-Harbor area has an active and vibrant art community. Numerous local gallerias and venues display a wide range of creations by talented local artists in virtually every style, genre, and medium. Angela Ewing talks with Pete Chasar about the Brookings-Harbor art scene from 1955 to the present. Not only is Pete Chaser a talented artist in Brookings, he is involved with most of the art galleries and the history of the Art Community. 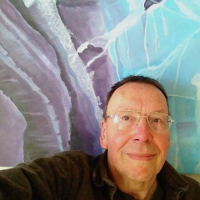 He is an organizer and enthusiastic supporter of the Second Saturday Art Walk in Brookings every month during the summer. His new art can be viewed at Brian Scott Gallery, 515 Chetco Avenue, Brookings. The Gallery is open Tuesday through Saturday 11:00 – 4:00 PM.